Take a look at best of the best nail art designs inspired by rain drops and fluffy clouds. Go stylish this monsoon! It is official that the monsoon season has hit India and most other parts of the world in it’s full glory. The sky is a constant showcase of a drama between thunderstorm, drizzle and finally heavy showers with in-between sunny intervals that cause the rainbow to appear once in a while. What a beautiful sight. So, ladies, how are you celebrating the rains? With a cup of hot tea, a good book for a read, dressed up comfortably? The working ladies must be choosing their office-going wardrobe really carefully! Water-proof makeup to ensure the look is maintained even while stepping in and out of office. Besides, you got to also go a bit dramatic with the rains. 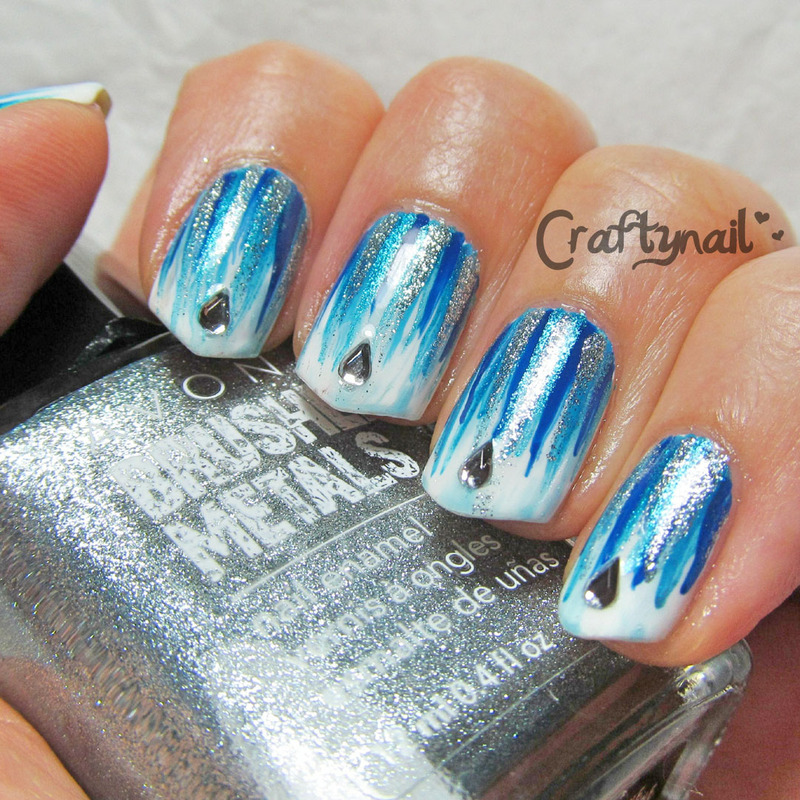 Paint your nails in colors, display the water droplets set against the blue, white or gray sky. Go for fluffy clouds and a bright sun for a bit of a sunshine on an otherwise gloomy, rainy day. Zuri has shortlisted 18 beautiful, monsoon inspired nail art designs. For girls who are looking to jazz up their Teej look with a quirky statement can also opt for these nail art designs. 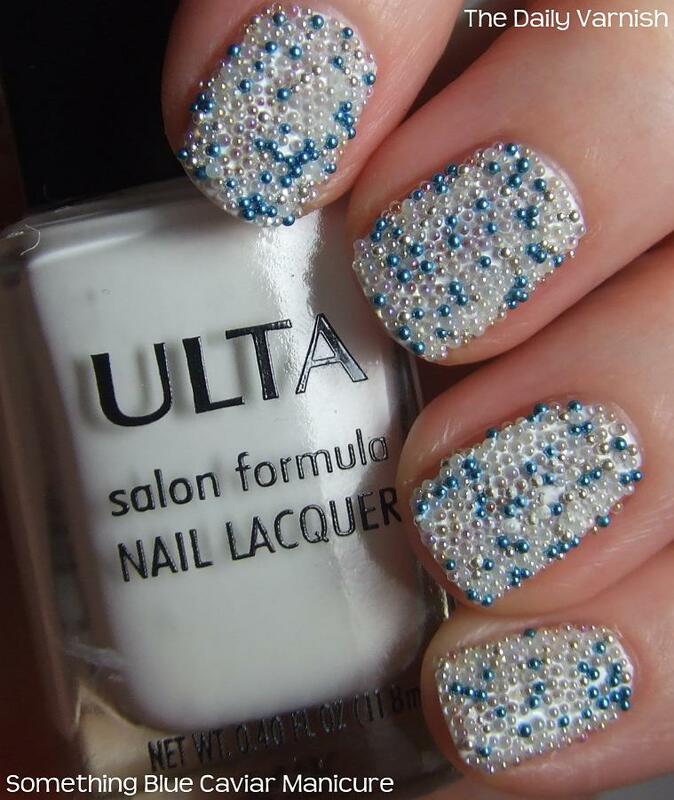 Giving yourself a caviar nail art might not be all that easy. But, it isn’t tough either. By adding a texture of micro beads to your nails, you can create the impression of having dipped them in monsoon-inspired ‘blue’ caviar. All you need is a (i) base coat polish, (ii) opaque white nail polish (no shimmer), (iii) blue micro beads and (iv) a top coat polish. Crystal, diamond, sparkle, glitter, create an impression of a raindrop with these embellishments easily available in the market. Add some high fashion to your look by adding hues and shades of glitter that will give an encrusted, glossy look to your nails. Stick a crystal or two on at least one nail per hand for the statement look. Popular for its enchanting symmetry, geometrical nail art adds an element of perfection to your nails. This nail art design is shockingly simple. You got to make use of a couple of tools, such as a scotch tape. That’s the only additional supply you really need. For an inspiration, draw an umbrella or tear drops and there you go! Heavily embellished nail art design makes use of rhinestones, gems, pearls and studs to create a 3-D impression of rain drops. You need a nail glue which is, in fact, a multi-purpose supply. Apply two coats of nail polish and let them dry completely. Apply a small dot of glue to your polished nail and adhere your embellishment. There is nothing that can best describe a freehand painting on your fingernails (a canvas). Let your imagination run wild. 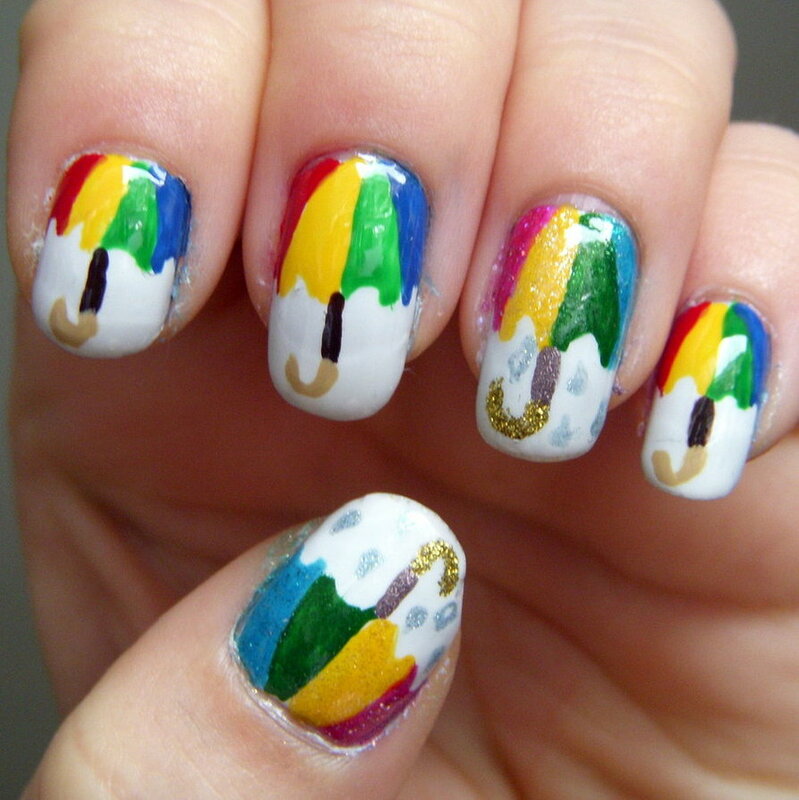 From multicolored umbrella to a colorful rainbow, this one nail art design is highly recommended this monsoon season. Don’t worry too much about your artistic skills. Just go with the flow. 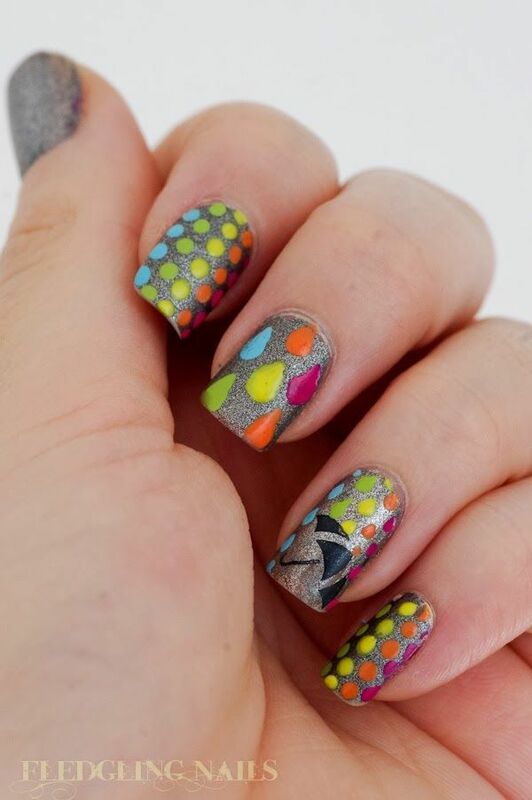 Make use of the nail art glue to clean the mess or any sort of a spill-over. Take a look at these amazing rain-inspired nail art designs. Do tell us which one is your favorite?